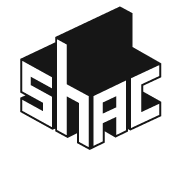 Enter the SHAC 10m2 Challenge! 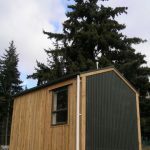 Design a 10m2 building that you would use as a music practice room, office, bedroom, house, shelter, or any other use. 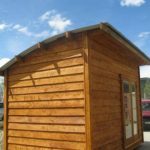 Can incorporate awnings, eaves, decking, carports, conservatories, etc, as long as the entire structure does not require building consent. 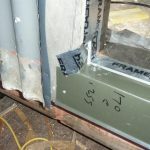 Entering this challenge is an easy and fun way to become familiar with what building work requires a building consent. Learn today and save yourself cost and difficulties in the future. Designs due 20 August at 12:00 noon. 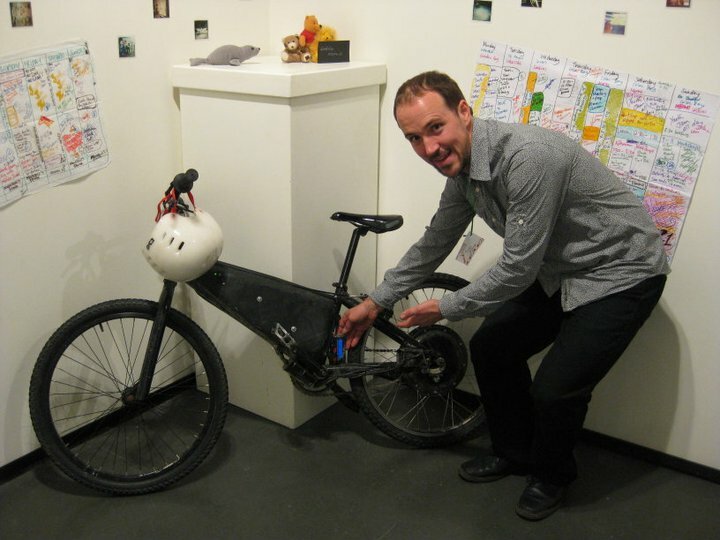 * For the cost of a year’s rent (say) – what can our designs inspire young people create? * The building will provide for any such use as is envisaged by the design team: music practice room, office, bedroom, house, shelter. It must be a building. * The building has a use that the team argues contributes or promotes living well, with purpose, and with less reliance on resources. * Submit your design, and an explanation about the building, how it is to be used, and how the building does not require a building consent. * Explain the project and its purpose, it’s present and potential future uses. 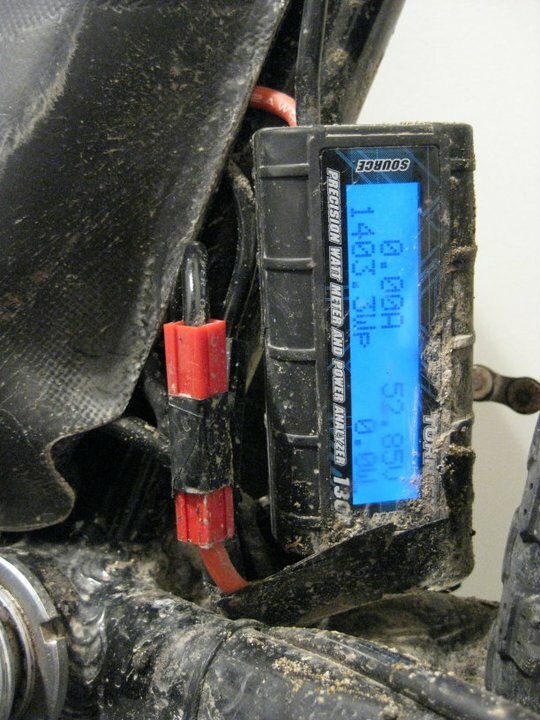 * How will it be supplied with any electrical power, if needed. * Please supply two A3 presentation sheets that explain the project. These sheets will be used for exhibition. This may include 3D sketches, plans, elevations, sections, and/or photos of the materials or techniques to be used. * Further details to aid in the construction will be helpful. You may attach this additional information, eg budget, details, and further description as additional sheets. These additional sheets may be exhibited as space allows. * You may choose to include a sketchup file. Photos of projects underway are acceptable. * Please submit the A3 sheets as PDFs. Please submit all files electronically to 10m2Challenge@shac.org.nz. Designs due 20 August at 12:00 noon. Maximum size about 15 MB per email. * All entries will be published on our web site. * Please have fun with this and give it a go! 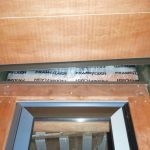 10m2 maximum internal floor area – walls can be as thick as you like. 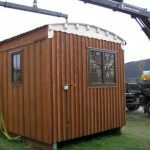 Must be single storey, can have a steeply pitched roof and loft. $500 cash prize available to help you build your design. All entries will be presented to the public and potential clients who may help you realise your vision. There is a student/young people category of the challenge. Thank you and have fun with this! This entry was posted in Uncategorized on March 1, 2012 by timb. 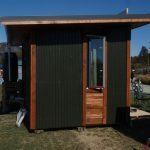 This entry was posted in 10m2, MicroArchitecture, New Zealand on February 15, 2012 by timb. 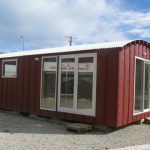 Gapfiller Trust SHAC solar powered office! 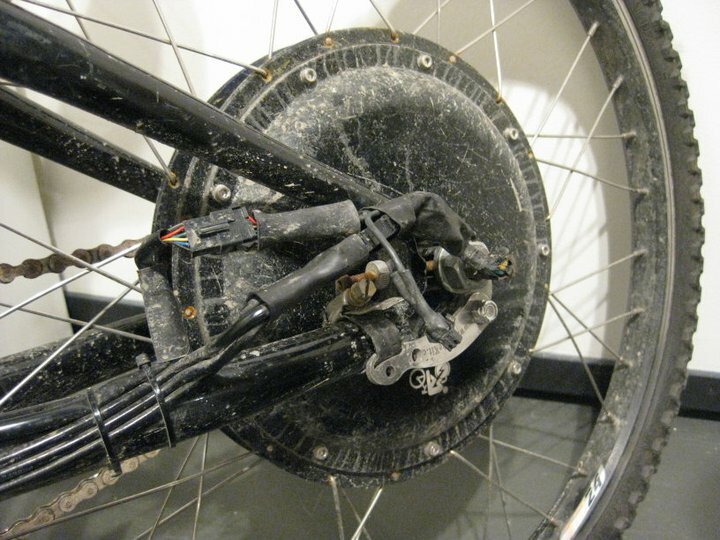 This entry was posted in MicroArchitecture, Projects on February 10, 2012 by timb. 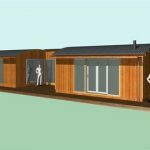 Taupo could be in for a new eco-sustainable housing community, reshaping the way houses receive heat, electricity, water, and use wastewater. 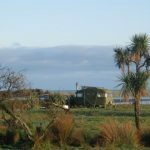 The New Zealand Clean Energy Centre (NZCEC) is currently investigating whether or not this would be feasible. 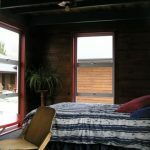 The community would use geothermal or biomass heat to heat homes; generate electricity from solar and wind sources; and reuse wastewater by drip-irrigating it to energy crops to provide future fuel for the community. 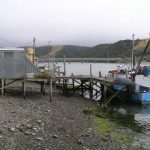 NZCEC said out of 75 people surveyed over the last two days, 33 had been in favour of the idea. 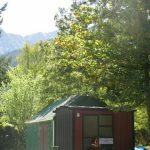 “The New Zealand public has demonstrated a keen interest in adapting their lifestyles to live in ways that are friendlier to the environment. 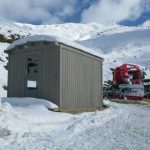 They want to do their part to help maintain NZ’s 100% Pure, clean green image, they want to find ways of reducing their energy bills, and they want to increase their control over energy supply security,” says chief executive Rob McEwen. He says the project would benefit Taupo’s economy, enticing domestic and international migrants, especially Silicon Valley entrepreneurs looking to make New Zealand their home. He says the next steps are to further quantify interest, then develop the concept to include drawings of the proposed community, a 3D animated walkthrough, and costings. 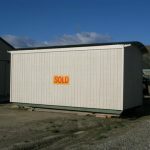 One way to make it feasible would be to use semi-rural land on the outskirts of town so that homeowners’ investment in the land would be lower. “Another way is to negotiate reduced development contributions with council. 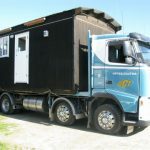 Unlike a typical subdivision where council needs to put in a lot of infrastructure such as water, waste water, power reticulation and phone connections, none of those services would be required in an off-grid community,” says McEwen. 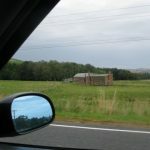 This entry was posted in Central North Island, Featured, New Zealand on January 22, 2012 by timb. One person’s rubble might be potential material for Gap Filler’s new office. 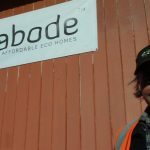 Sustainable Habitat Challenge (SHAC) and ReGeneration Trust New Zealand are collaborating to build an office for Gap Filler in Colombo St, Sydenham, with the help of volunteers and as many recycled or sustainable materials as possible. Gap Filler project co-ordinator Coralie Winn said she was humbled by the plan. 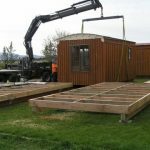 “It’s a very generous gesture that they are doing this for us and also teaching young people building and design skills,” she said. 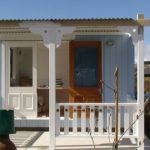 Gap Filler, which emerged after the September 2010 earthquake, has overseen several urban regeneration projects, such as the Lyttelton Petanque Club, the “book fridge” and the painted-piano project. It has been based in Winn’s front room. 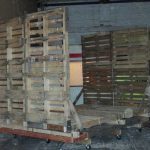 “Since November, we’ve hired a part-time helper, and people have been coming and going,” she said. 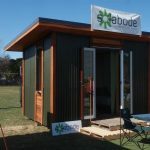 SHAC’s Tim Bishop said the frame of the 10-square-metre office would be built from recycled timber from demolished buildings, and the windows would also be recycled. 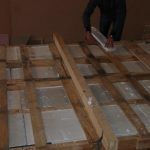 Waste polystyrene would be used for insulation, while the external walls would be constructed from wooden pallets usually used for transporting heavy goods. 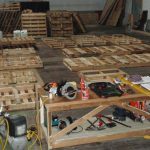 “We want to show how to creatively reuse material left over from the earthquake. It’s a bit of a test. 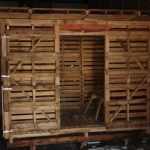 A few things are going to be new, like nails and building paper,” he said. 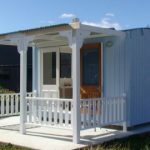 The project also aims to show young people that it can be easy and fun to build small buildings with sustainable materials. 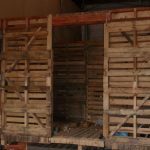 Demolition and salvage yards, including Southern Demolition & Salvage, Musgroves and the Window Market Place, are also involved in the project. 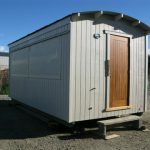 The Christchurch Polytechnic Institute of Technology is contributing equipment and helping to find a licensed builder. The build will take a week, from January 23 to January 28. Volunteers can sign up here. 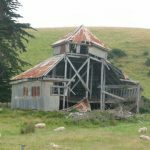 via Office to rise from the rubble – the-press | Stuff.co.nz. 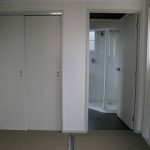 This entry was posted in 10m2, Canterbury, Featured, MicroArchitecture on January 11, 2012 by timb. 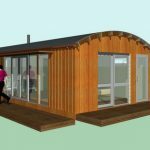 The ReGeneration Trust and SHAC (Sustainable Habitat Challenge) are keen to get rebuilding Christchurch. 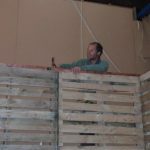 In January 2012, we’ll be running a six-day building project – starting from scratch, we’ll be working with builders, architects and a crew of young people to create a funky, recycled, moveable office for the Gap Filler project. 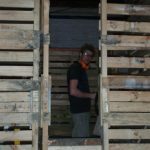 Gap Filler is a creative urban regeneration initiative that aims to temporarily activate vacant sites within Christchurch with creative projects, to make for a more interesting, dynamic and vibrant city. 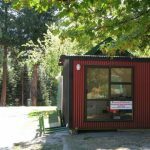 They’ve run a series of awesome projects, like the Lyttleton Petanque Club, Gap Filler Community Chess and the Think Differently Book Exchange. 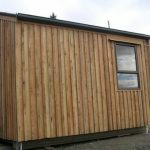 small, well insulated, water tight buildings made from a mixture of reused, recycled and sustainable materials. ReGen and SHAC are now looking for motivated people who are willing to step up, represent and take practical action for positive change. 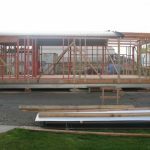 The Christchurch 10m2 Building Project in an opportunity for creative, hands on types to work alongside experts on sustainable building, to learn new skills and share ideas for Christchurch in the future. 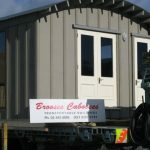 We’ll be learning new skills each day and putting them into practice building walls, putting up roofs, cladding, internal lining, insulation and painting. And we’ll be documenting the process with stories, film and photographs. 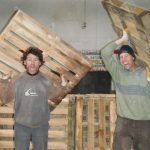 Happyzine » ReGenerating small, sustainable SHACs in the temporarily vacant sites of Christchurch. This entry was posted in 10m2, Canterbury, MainMenu, MicroArchitecture, New Zealand on December 21, 2011 by timb. This entry was posted in Featured, MainMenu, Otago, R&D on December 15, 2011 by timb. “Anyone can build an eco-home,” he says, “but it doesn’t solve anything. There is nothing to stop them turning up the thermostat. 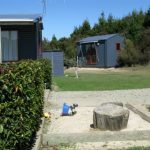 What’s more interesting is the way people live and behave.” So the Triangle has allotments and polytunnels where people can grow their own food, and a car club and a scooter club that make their use of transport less wasteful. He sees such things as more important than the design features of individual houses. 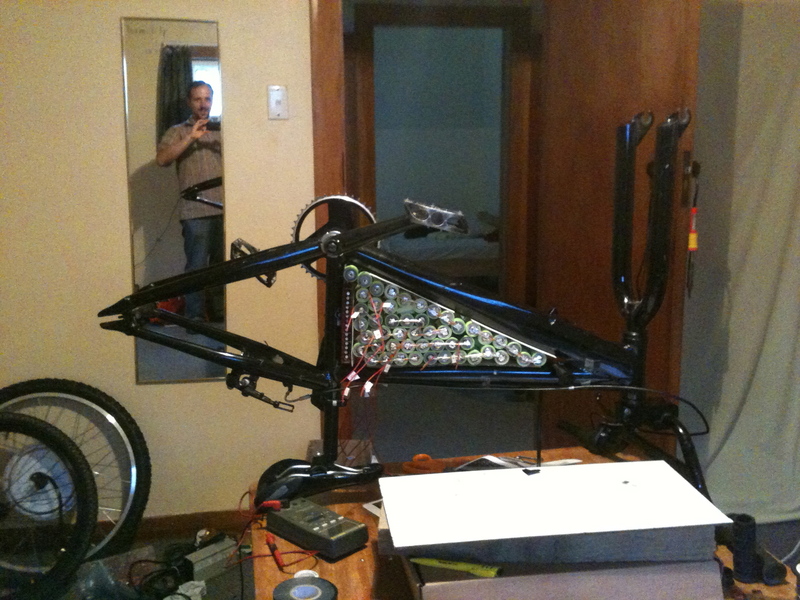 This entry was posted in Featured on November 29, 2011 by timb. 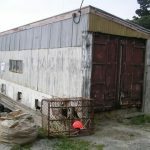 This entry was posted in Central North Island, Materials, New Zealand, Uncategorized on November 17, 2011 by timb. floor also adds warmth, while keeping the feel light and airy. a comprehensive make-over to transform it into a family home. feel with its modern patterned fabric. fire is a great all rounder. 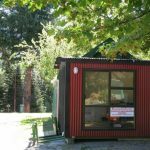 This entry was posted in Central North Island, MicroArchitecture, New Zealand, Uncategorized on November 9, 2011 by timb. 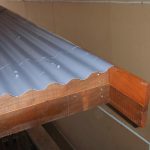 (iv) does not exceed 1 storey, does not exceed 10 square metres in floor area, and does not contain sanitary facilities or facilities for the storage of potable water, but may contain sleeping accommodation (without cooking facilities) if the detached building is used in connection with a dwelling. via Building work that does not require a building consent. 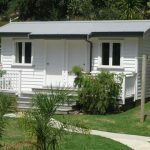 This entry was posted in 10m2, MicroArchitecture, New Zealand on November 4, 2011 by timb. 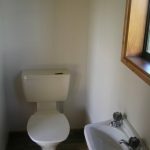 This entry was posted in MicroArchitecture, New Zealand on November 4, 2011 by timb. 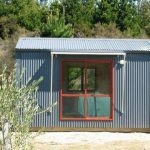 EKOKIT is a range of self-build eco houses that have been specifically designed to be flexible, sustainable and within the price reach of ordinary New Zealanders. 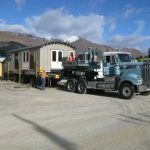 EKOKIT homes can be built anywhere in New Zealand, under the supervision of a Licensed Building Practitioner. 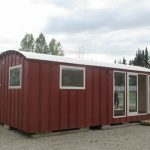 If you don’t wish to manage your EKOKIT build yourself your EKOKIT is also available as a complete finished home through Planet Homes. via EKOKIT – from Ebode & Hybrid Homes. 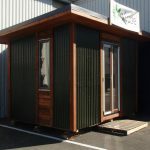 This entry was posted in Canterbury, MicroArchitecture, New Zealand, Otago on November 4, 2011 by timb. 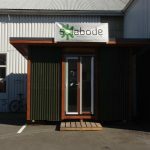 ArtBox aims to provide exhibition and retail space for approximately 100 Christchurch artists, craft practitioners and design retailers who have lost workspace and outlets, through the creation flexible and portable modules, all of which have been locally designed and manufactured. 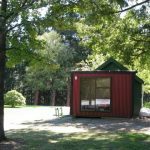 The project, instigated by CPIT in conjunction with Christchurch firm F3 Design, will begin with 18 modules being placed in and around the CPIT campus, with the hope that with the community’s support it can branch out to support a River of Arts throughout the city. Pippin Wright-Stow, who co-owns F3 Design with his sister Ella, said the idea was spearheaded by F3 Design employee Andrew Just, who also lectures at CPIT’s architecture school. The ArtBox modules are a 2.9m cube that allow for the creation of comfortable and highly adaptable spaces. They can be stacked, oriented and arranged in various practical configurations, insulated with wool, and are weather-tight. 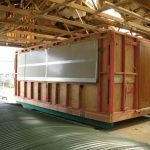 And because the modules are based around a steel hollow section frame, Wright-Stow said they have are very strong and have the ability to resist loads placed by earthquakes. They’re not designed for one-off use either. Their unique design allows for multi-functional and multi-purpose use across a number of industries, from artists and jewellers to craftspeople and education institutions, as well as festivals and events. 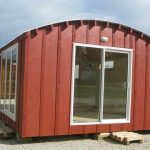 “The idea is that they can be on-sold and used as commercial or residential dwellings,” said Wright-Stow. 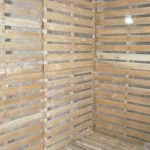 Featuring interchangeable wall and flooring panels, the boxes can be placed on any surface, including concrete and grass. 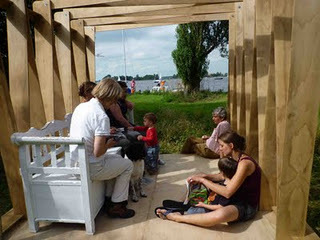 This entry was posted in Canterbury, MicroArchitecture, Uncategorized on November 4, 2011 by timb. Here at SPACE we love micro dwellings. 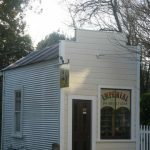 Those small buildings that are woven intrinsically into the culture and character of New Zealanders. A room of one’s own. A private SPACE. A quiet retreat. All are vital elements that contribute to our well being. 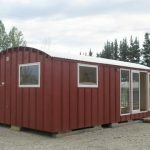 more info >>> Space Moveable Rooms. 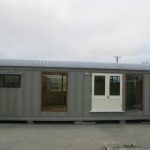 This entry was posted in MicroArchitecture, New Zealand, Otago, Southland on November 4, 2011 by timb. INSPIRED BY HENRY DAVID THOREAU’S HUT AT WALDEN POND. TRANSLATED AS A TOOL FOR OUR TIME TUNED TO PLANET EARTH. A MINIMUM PROTOTYPE THAT ADJUSTS TO ITS ENVIRONMENT IN THE SENSE THAT A TREE DOES, IE AUTONOMOUS ENERGY, INFO, WATER+FOOD, INTEGRATED STRUCTURE, ENVIRONMENTAL SYSTEMS WITH LOUVRE SKINS THAT RESPOND VIA SENSORS TO TEMPERATURE, WIND, MOISTURE AND LIGHT. ‘..THIS FRAME SO SLIGHTLY CLAD, WAS A SORT OF CRYSTALLISATION AROUND ME..’ THOREAU. 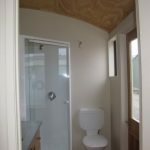 This entry was posted in Auckland, MicroArchitecture, New Zealand, Uncategorized on November 4, 2011 by timb. The L41 home, designed by Architect Michael Katz and Artist Janet Corne is a 220 sq. 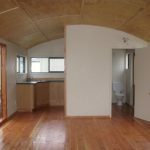 ft. ultra-compact, sustainable, high-design, high quality, energy-efficient house. 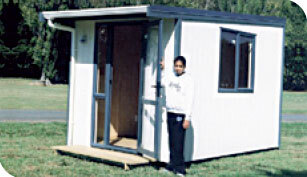 The L41 home makes it possible for the millions of people who otherwise could not afford to buy a house, to become homeowners. 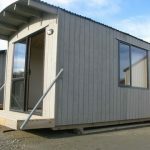 Simply making a house small, however, is not good enough, it must be highly livable and delightful and the L41 is both. 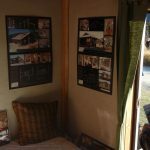 The L41 home is designed for a generation that understands the principles of “small is beautiful”, preservation of resources, improving the lives of others and enhancing our f uture by means of sustainable actions. With every inch of space utilized and many built-in storage solutions provided, L41 fulfills the maxim, “everything in its place and a place for everything”. L41 is constructed of Cross-laminated Timber, (CLT) a relatively new wood product in North America. 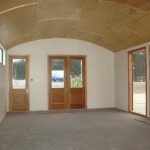 The true benefit of CLT is that it is solid wood and can be used as a substitute for concrete in mid-rise buildings. (the British have built 9 stories) When one considers that concrete is responsible for 8% of the world’s carbon emissions, the implications become clear. 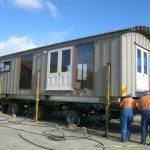 L41 homes can be built in many configurations, from a single unit to high-rise buildings and because of the high achievable densities, can play a significant role in providing affordable housing in inner-city locations. In addition to the 220 sq. ft. 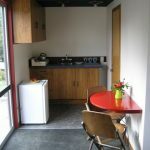 Studio, there also is a 290 sq. ft. 1-Bed and a 360 sq. 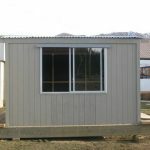 ft. 2-Bedroom unit. 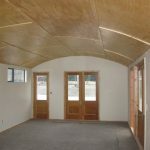 This entry was posted in MicroArchitecture on November 4, 2011 by timb. 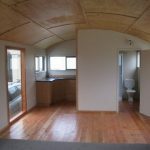 This entry was posted in 10m2, Auckland, MicroArchitecture, New Zealand, Uncategorized on November 4, 2011 by timb. 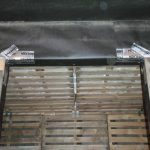 This entry was posted in 10m2, Featured, MicroArchitecture on November 1, 2011 by timb. 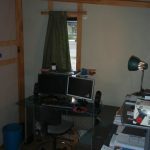 Read more at Rural Southern Studio: Small Space, Small Budget. 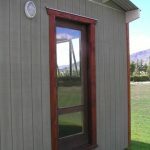 This entry was posted in Featured, Gallery, MicroArchitecture, New Zealand on October 17, 2011 by timb. 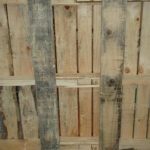 A wall made from cinderblocks made from a mix of concrete, paper and egg cartons. 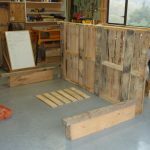 This entry was posted in Materials, New Zealand, R&D on October 17, 2011 by timb. 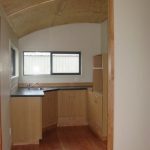 This entry was posted in 10m2, MicroArchitecture on October 13, 2011 by timb. 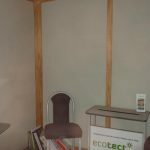 This entry was posted in MicroArchitecture on October 13, 2011 by timb. It’s a two for one sneaky deal! 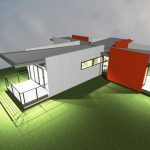 This entry was posted in MicroArchitecture, New Zealand on October 13, 2011 by timb. 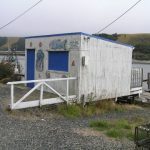 Apparently there are adobe state homes in Hastings [or Wellington?]. Does anyone have some photos? 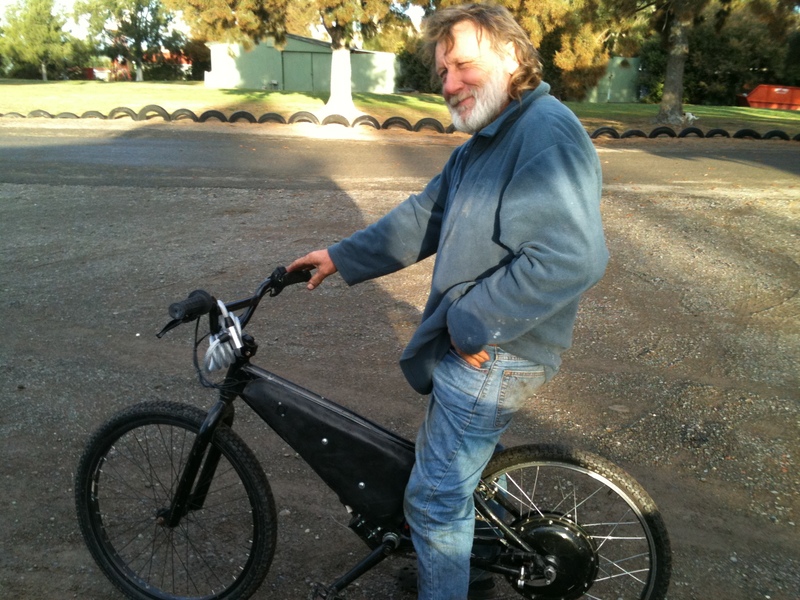 This entry was posted in Napier-Hastings on September 26, 2011 by timb. Materials for Architects and Builders is written as an introductory text to inform students at undergraduate degree and national diploma level of the relevant visual and physical properties of a wide range of building materials. The third edition has been significantly enhanced by the incorporation of full colour images throughout, illustrating the materials and in many cases their use in buildings of architectural merit. 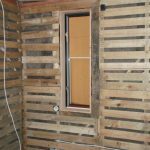 The text includes the broad environmental debate with sections on energy saving and recycled materials. There are seventeen chapters covering the wide range of materials under standard headings. 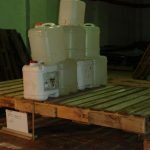 Each chapter describes the manufacture, salient prop- erties and typical uses of the various materials, with the aim of ensuring their appropriate application within an awareness of their ecological impact. This ebook is an excellent resource. 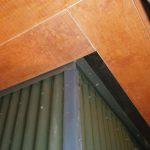 Materials for Architects and Builders. 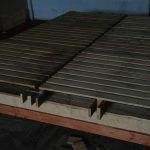 This entry was posted in Featured, Materials, R&D on September 19, 2011 by timb. 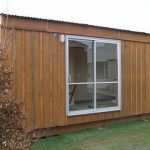 Masterton home eco-aware – Local News – Wairarapa Times-Age. 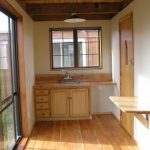 In 2007, Steven, an industrial design engineer, began work on the eco-friendly house he would take three years to build with his own hands. 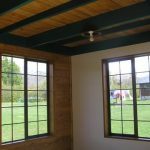 He even built the kitchen and every piece of furniture from the shelving to the beds, and fitted solar panels, which store 2000 watts of energy. 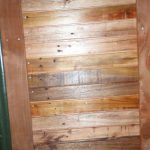 “When building our house, there were moments in the process when we had choices, like when we were deciding on our insulation. 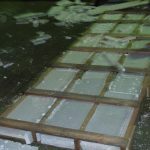 We decided to go with recycled insulation because it’s better for the environment, and it’s a nice material to work with – you’re not working with things like fibreglass. 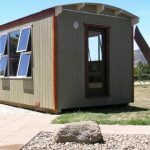 He said building an eco-friendly house is “not rocket science”, it is just about thinking more carefully about your choices and how they affect your wallet as well as the environment. 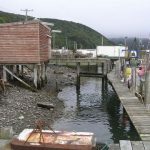 This entry was posted in Featured, Gallery, Wellington on July 30, 2011 by timb. 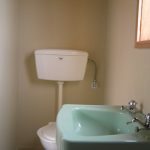 Intelligent water cycle for active climate protectionHow ingenious it would be if we could store and reuse the heat from the run-off shower and bath water that we use each day before it disappears down the drain forever! Now you can – with a heat recovery system from Hansgrohe. The Pontos HeatCycle system is the result of years of research. It recovers the energy from the grey water. To this end, the system uses a heat exchanger to extract the heat from the still warm grey water and uses this to heat up cold drinking water. This saves valuable resources, lowers gas or electricity bills and reduces CO2 emissions. Those who use Pontos HeatCycle can reduce their overall energy requirement for hot water preparation by up to 20%. That is good news for the climate, your wallet and our future as a whole. 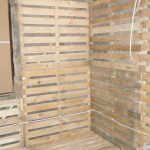 via Recover heat – Pontos HeatCycle, reusing resources | Hansgrohe International. 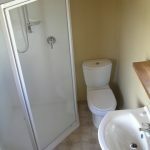 This entry was posted in Canterbury on July 20, 2011 by timb. 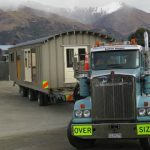 A few simple building rules could have saved billions of dollars and kept thousands of people in their own homes after the Canterbury earthquake, Far North Mayor Wayne Brown says. 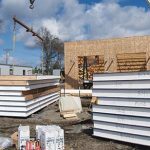 The problems showed the complicated building codes of recent years were no help, because they were ignored or not understood. 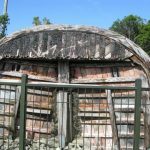 The excellent performance of old timber-framed, iron-roofed homes – built in the decades after a swarm of earthquakes in 1859-70, long before modern building codes – proved his point, he said. 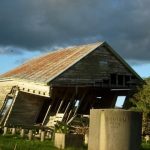 Building practices exposed by Christchurch quake – Local News – Northland Northern Advocate. 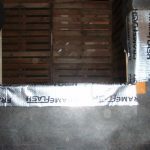 This entry was posted in Canterbury on April 27, 2011 by timb. Pocket parks are frequently created on a single vacant building lot or on small, irregular pieces of land. They also may be created as a component of the public space requirement of large building projects. Pocket parks can be urban, suburban or rural, and can be on public or private land. Although they are too small for physical activities, pocket parks provide greenery, a place to sit outdoors, and sometimes a children’s playground. They may be created around a monument, historic marker or art project. In highly urbanized areas, particularly downtowns where land is very expensive, pocket parks are the only option for creating new public spaces without large-scale redevelopment. In inner-city areas, pocket parks are often part of urban regeneration plans and provide areas where wildlife such as birds can establish a foothold. Unlike larger parks, pocket parks are sometimes designed to be fenced and locked when not in use. This entry was posted in Uncategorized on April 10, 2011 by timb. 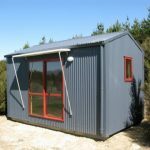 Provide office space from re-used shipping containers? 12 office/studio spaces constructed from 32 recycled shipping containers on an abandoned strip in Providence, Rhode Island. But the devil may be in the details – how are the windows be installed and flashed? 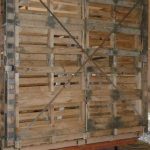 And how will the gaps between containers sealed? >>> More From Stack Design Build. This entry was posted in Featured on April 7, 2011 by timb. 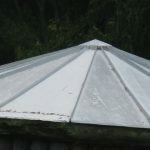 This entry was posted in Canterbury, Featured on March 29, 2011 by timb. 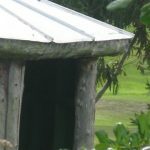 Lyndall Hancock has spent a lifetime with a rainwater tank beside the house. 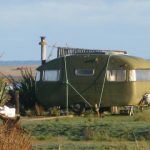 Over the years, t he Dunedin woman has used water collected from the roof – running down through pipes to a tank beside the house – for cooking, cleaning and even drinking, once strained and boiled. 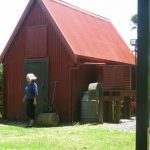 Now aged 80, Miss Hancock lives in Waverley and still uses rainwater harvested from her latest tank to water the garden. She told the Otago Daily Times the time was right for the Dunedin City Council to consider offering incentives to urban homeowners wanting to invest in similar schemes. As well as everyday uses, the tanks promoted water conservation and could help ease pressure on council water services, Miss Hancock said. The tanks would also be useful as an emergency supply, should earthquake damage in Christchurch ever occur in Dunedin. “It used to be that houses all had a rainwater barrel. When I was a child, we had that at home. I can’t remember what the water was used for, except that when there was a drought there was always water there for the vegetable patch. “It’s sensible. We could run out of water as quick as look at you,” she said. 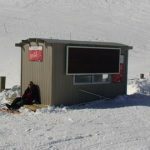 This entry was posted in Featured, Otago on March 27, 2011 by timb. VisionWest has seen one church grow to provide holistic care and support for all people physically, emotionally, spiritually and intellectually. The Trust provides housing, a kindergarten, opshop, community care, for the Henderson community in Auckland. 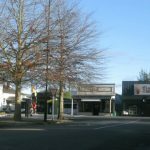 VisionWest Community Trust has been offering community-based services to people in West Auckland since the 1980’s. 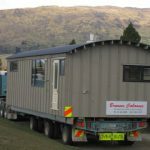 The Trust was formally incorporated as the Friendship Centre Trust in 1988 in response to a growing desire of the Glen Eden Baptist Church to help those in need in the local community. 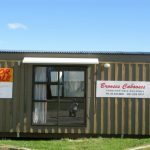 The Trust started out small with a drop-in centre at the Glen Eden Railway Station as a place where friendships were formed. The Trust responded to the needs present in the community and grew to be one of the largest community based Trusts in West Auckland. In 2010 the Friendship Centre Trust became VisionWest Community Trust. The name evolved from the Trust’s passion and vision of hope and transformation for families living in West Auckland. VisionWest Community Trust now provides a range of community services to around 7000 individuals and families every year, with a wonderful staff and volunteer base of over 450 people. 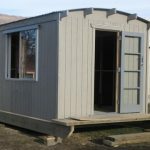 The Trust is still based out of Glen Eden Baptist Church and continues to grow and respond to needs in the West, with a mission of building hope together. “At VisionWest we believe that we all need to have a vision and hope for the future. As a community development based organisation, our vision is to build a place of trust and openness where people feel valued and loved. via Welcome to VisionWest Community Trust – Community Development – Holistic Care and Support – Integrated Services and Support. 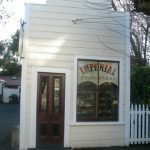 This entry was posted in Auckland, Featured on March 26, 2011 by timb. 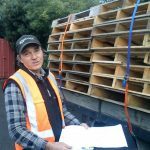 In response to the Christchurch earthquake, Copeland, working with seismic engineer Barry Davidson and wastewater systems engineer Ian Gunn has developed a concept design for a house providing a high degree of self-reliance in terms of basic essential services – water, energy, drainage. 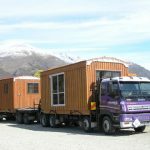 via The resilient house – National – NZ Herald News. 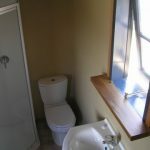 This entry was posted in Canterbury, Featured on March 26, 2011 by timb. Although the evidence is all around us there seems to be little appreciation of the depth of the impacts that the car-industry giants, allied to the oil industry, have had on our lives. They have in a very short time destroyed our sense of community – the human-to-human interactions that are the foundation of human existence – and greatly increased our cost of living (which represents a massive transfer of wealth from us to them) in order to meet their own self-centred, commercially-driven objectives. To achieve this General Motors and Ford (in particular) took over the design of our cities. And as first steps in that direction public transport systems were destroyed, or, at best, marginalised, and road-based urban sprawl took over as the primary means of dealing with urban growth. Motorways became symbols of economic ‘progress’. Taken together all these things were, and still are, regarded as fundamental to our being a so-called ‘advanced’ society. With increasing concerns about urban sprawl becoming evident, peak oil now upon us, and climate change rarely out of the news, it is imperative that we take a serious look at alternatives. Two examples of developments which, in their entirely different ways, were designed to put people before cars are Port Grimaud, on the south coast of France (near Saint-Tropez); and New Ash Green, on the outskirts of London. Significantly, in each case their architects were also the developers and they run roughly in parallel in terms of conception and initial work (1960s), but New Ash Green took less time to complete. 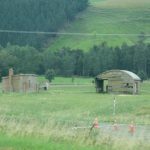 Both projects experienced problems with the planning authorities which took several years to deal with – New Ash Green required ministerial intervention to obtain approval. Port Grimaud covers 90ha, and includes 2,900 homes (a population of perhaps 8,000 people), a variety of retail outlets, 7km of canals, and 14km of waterfront. The architect and developer was M. Francois Spoerry, and his aim was to build a waterside village designed to relate closely in appearance to the traditional characteristics of the local architecture and urban form, which had evolved over thousands of years. This was applied in particular to the visible elements of group composition, scale, materials and finishes – but also to the movement of people within the development. Consequently vehicles were to be kept out, except for servicing purposes, with parking generally being distributed around the perimeter. It is without doubt a very beautiful and appealing place. There are plazas, courtyards and a market place; gardens, streets, lanes, waterfront walks, and bridges form linkages which connect everything together. Cafes, bars, restaurants and shops are plentiful and varied. The scale of everything is entirely human, and although variety and individuality abounds there is a powerful sense of coherence, physically and socially. It was clearly designed from the heart, and is therefore as far from our obsession, in New Zealand, with simplistically conceived, rigid, box-ticking, traffic-focused rules (and the associated lawyer-driven processes), which produce our urban environments as it is possible to imagine. Unfortunately this development has become a victim of its own success, and its location. 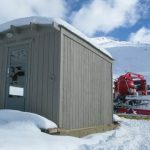 Many of the owners come from northern Europe, which means that it is a summer destination for many, and it also attracts large numbers of tourists – also during the summer – which skews social and economic activity. As well, because of the emphasis on boats, there is also a demographic bias. New Ash Green is entirely different in that it was conceived as a relatively self-contained village of low-cost housing for around 5,000 people, set in countryside some 35km from central London. It was intended to show that there could be alternatives to the generally bleak housing estates being built elsewhere, and although most houses were to be privately owned it was planned to include about 400 ‘social’ houses – until a change of government pulled the plug on this (thus bankrupting the developer). Whilst the surroundings – high on the North Downs – are certainly very pleasant the only close attraction of any significance is Brands Hatch, a race track. The architect and developer (via Span), Eric Lyons, as with Francois Spoerry, worked from people first, cars second. This led to groups of houses being located next to landscaped walkway links to the village centre, school, and recreation areas. Cars are generally parked or garaged close to, but away from the dwellings, and are concealed partly or completely by what is now very substantial planting. The village centre and school are within easy, safe, and pleasant walking distance from all the houses. The amount of green space is amazing – it’s perfect for children. Where this development stands out is that it shows the value of comprehensive design and development. As with Port Grimau the entire project was carried out entirely as a singular, unified, environmentally-centred design process with a wide mix of housing types. By contrast, in New Zealand, the design inputs are limited to subdivision, roads, and services – which come first, and which are all controlled by the town planning process – then, tacked-on, notional, landscaping. There is no architecture as such – the most visible residual outcome of this process, the roads and houses, are in effect also designed by planners because of their control of heights, separation from boundaries and set-backs from streets. Forty years on and New Ash Green has matured, and looks great. But there are a few glitches. Two motorways built nearby have led to reduced use of the shopping centre and it has clearly suffered. 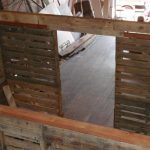 Making this worse, the absentee centre owners have paid no attention to maintenance, and this shows; as well, changes have been made which have damaged the original architecture. There is a railway nearby, but beyond easy walking distance, and there is a bus service. But neither of these can compete with use of personal vehicles so until something changes, such as the cost of motoring, the commercial viability of the shopping centre will remain marginal. A second problem, a relatively new one, has been the growth of absentee house owners: the so-called buy-to-let investors have moved in. 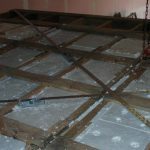 They also neglect maintenance, and have no interest in what their tenants get up to either. Both New Ash Green and Port Grimau are managed by residents’ committees, and owners are charged an annual fee to cover the costs of this. There are also controls over such things as colours, alterations and additions. Some residents may resent this, but the results are clear: both developments are, albeit in quite different ways, exceptionally attractive, very well maintained, and liveable environments. Both these developments clearly share a common design ethic. They demonstrate the value of visionary inputs into high quality, comprehensive, and carefully coordinated design processes which recognise our need for human interactions both with each other and with the wider natural environment, as well as our responses to scale, proportion, texture, colour and form. Contrast this approach to the housing which results from our fractured, leaderless system which reduces design inputs to the absolute legal minimum and we get exactly what we see all around us: visual tedium, sterility, and endlessly cloned oversized roads lined with equally monotonous one type-fits-all houses – each with a wide driveway and a double garage. Recognition of having appealing spaces around us, and of social diversity, or having a pleasant walk to the shops, schools and other amenities? – forget it: like it or not there is no choice but to jump into your car and drive across town to do these things, and in so doing you will pass through equally soulless surroundings, and end up at a big box retail outfit set in the middle of a gigantic car park and almost never meet anyone you know. I think there is very clear message behind all this: we can and must do better. 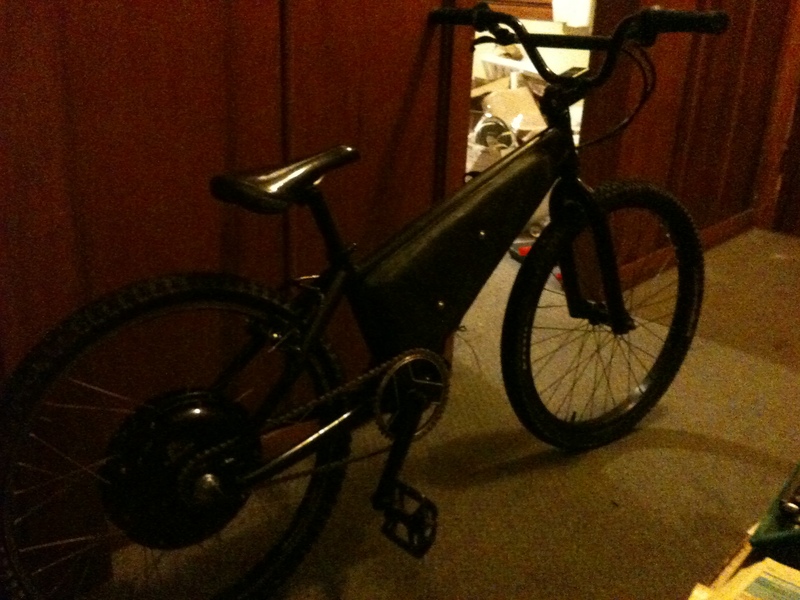 This entry was posted in Canterbury on March 24, 2011 by timb. 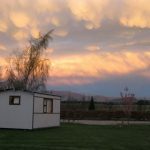 This entry was posted in Canterbury, Featured, New Zealand on March 5, 2011 by timb. 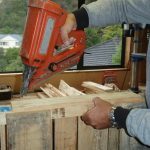 Students from the School of Construction at Manukau Institute of Technology (MIT) are helping with the rebuilding of Sir Edmund Hillary’s house as part of their entry into this year’s Sustainable Habitat Challenge. 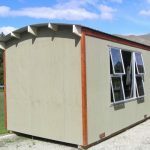 The old homestead is being relocated to Sir Edmund Hillary Collegiate in Otara, Auckland, where it will be rebuilt and become the home for the Sir Edmund Hillary Leadership Institute. The renovated structure will incorporate a number of eco-friendly and sustainable building systems such as rainwater harvesting, double glazing, insulation and solar heating. MIT students training in construction, electrical, plumbing and landscaping will work on the project that is expected to be completed by mid-2011. This entry was posted in Auckland, Featured on December 9, 2010 by timb.